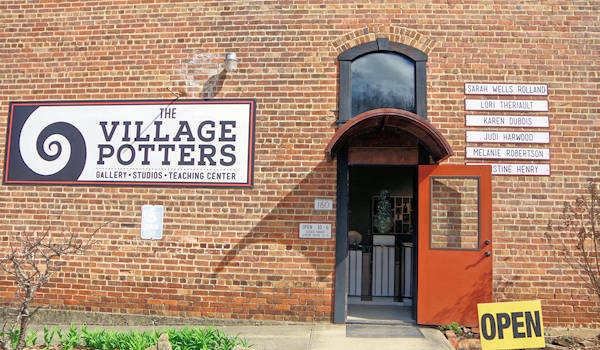 One of your first stops in the River Arts District near downtown Asheville and Biltmore should be The Village Potters Clay Center. 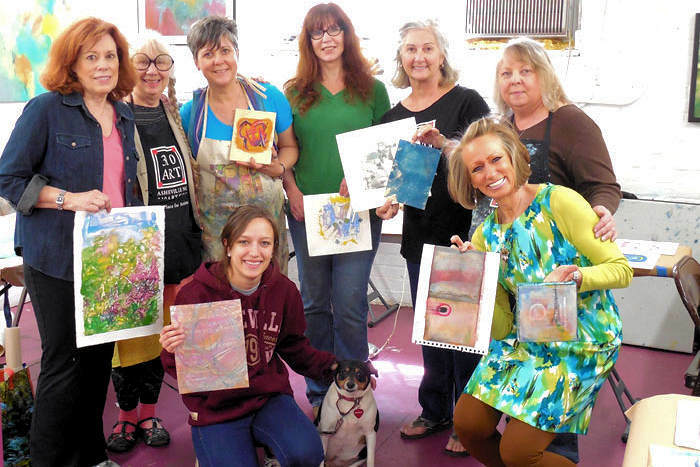 Meet the artists and take a peek into their teaching studios. Browse galleries with their fine, contemporary ceramic art for sale. They are also a pottery teaching center, so sign up for clay classes. The Village Potters are Sarah Wells Rolland, Judi Harwood, Melanie Robertson, Lori Theriault, Julis Mann and Christine Henry. They comprise an intentional collective of professional potters who share a commitment to inspire a passion for ceramic art and nurture creative exploration through education, experience, relationships and community. Riverview Station is also home to many other artists to visit. The gallery is open every day of the week. 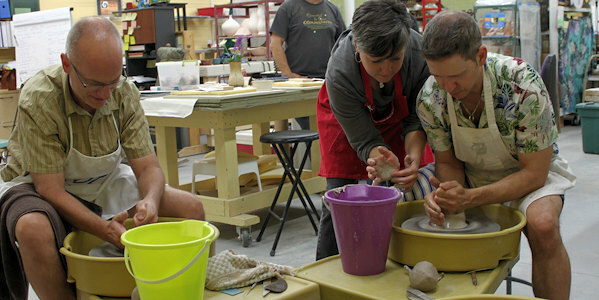 The Teaching Center offers ongoing clay classes in wheel and hand building for adults, an Advanced Ceramics Program, master workshops, scheduled demonstrations and hands-on workshops. 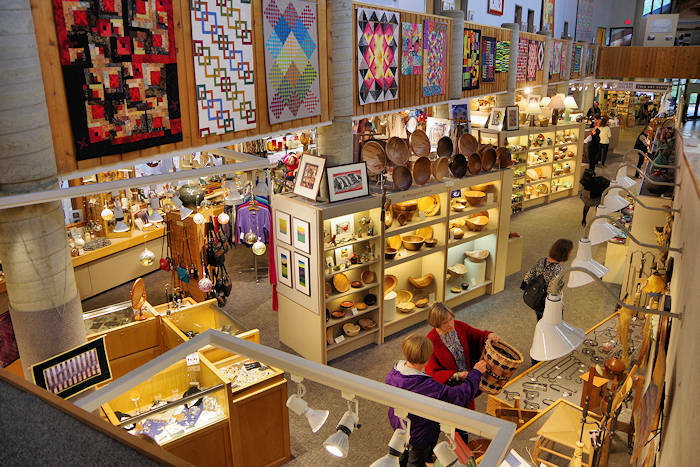 Also take specialty classes in sculpture, surface design and jewelry making for the beginning and intermediate student. See upcoming classes on their website. They love to work with students on their individual dreams and potential. 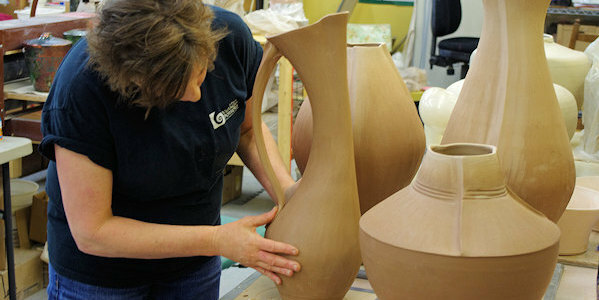 Take 4-12 week series and many special weekend workshops for the more experienced potter. New in 2019 will be special "Get Your Hands Dirty" custom workshops that you can book for small groups for 12 or more. The Village Potters is an educational member of The Craft Guild of the Southern Highlands, and is an official distributor for Laguna Clays. Getting married? Work directly with one of The Village Potters to design a very personal list of handmade dinnerware, service ware, decorative pieces and accessories for your wedding registry. Also create a registry for a big birthday, anniversary, graduation or new home. Click here to visit their website. 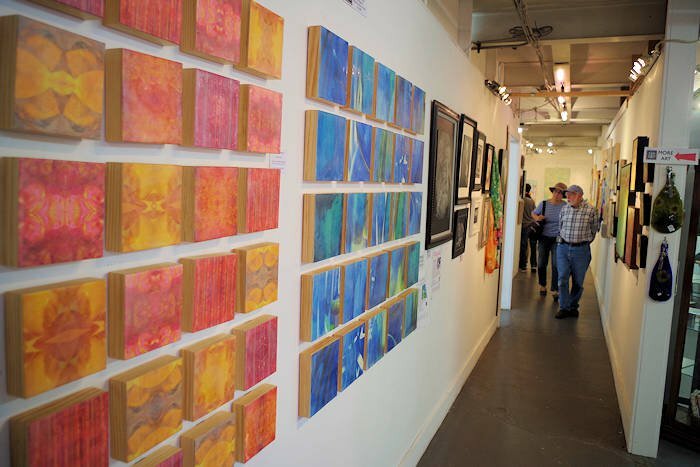 Riverview Station is home to 30+ other artists, so stroll through the rest of the building. Local's favorites 12 Bones BBQ restaurant and Wedge Brewery are behind Village Potters. They are open on Monday-Saturday, 10 AM-6 PM (except closing at 4 PM in the winter months). Sunday 11 AM-5 PM. They close for about two weeks for Christmas.